Thanks to the congressional hearings, we learned that Manila Water has been charging its customers since 2008 for a water-treatment plan in Cardona, Rizal, that has yet to be fully operationalized. 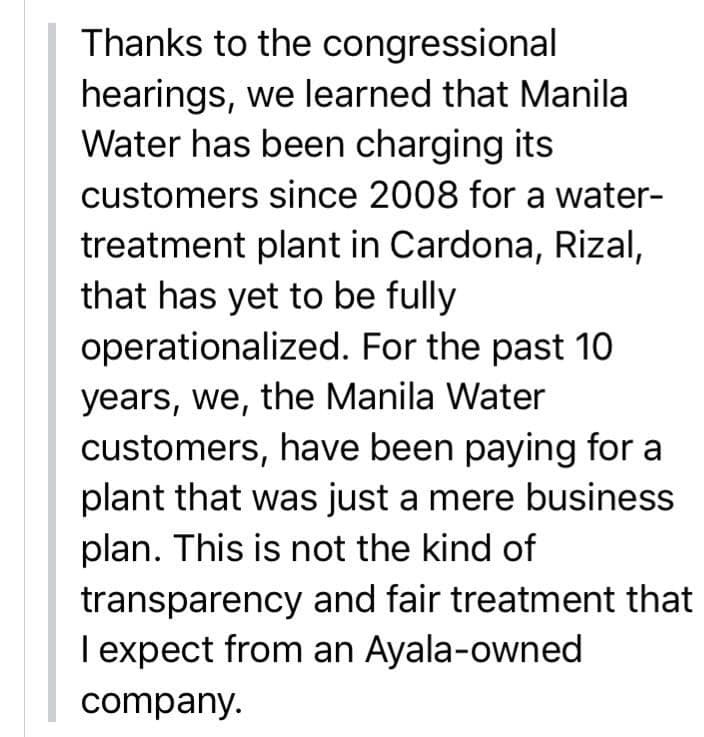 For the past 10years, we, the Manila Water customers, have been paying for a plant that was just a mere business plan. This is not the kind of transparency and fair treatment I expect from an Ayala-owned company. Manila Water is yet to issue a statement regarding the allegations.